Everyone gets nervous at job interviews. Even if you’re the most qualified and experienced candidate for the position, you will still likely feel a few butterflies in your stomach. This is totally normal and it happens to everyone, regardless of the job. So how can you make yourself feel a little more comfortable when you attend your next job interview? Well, with the help of a stylish pair of elevator shoes from GuidoMaggi, you could boost your confidence and stand out in style. A job interview is usually the first time your employer is meeting you. So a good first impression is one of the most important things. If you don’t make a good impression on the first meeting, you may not even get a look in for a second interview or be considered for the job at all. 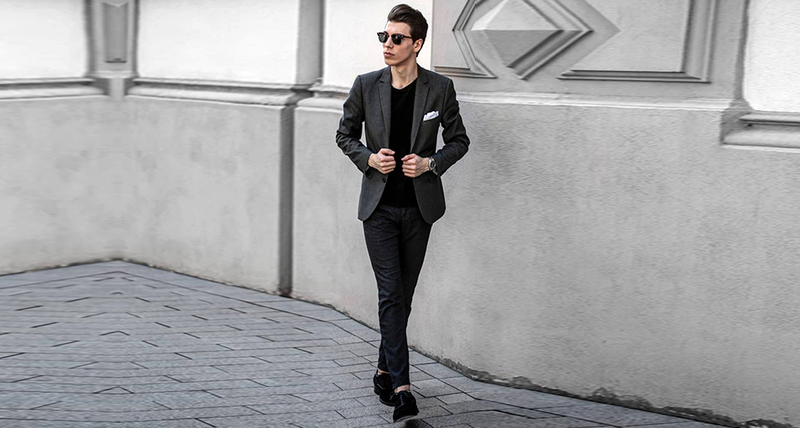 As well as being well groomed, how you dress will also be an important factor in your success. One thing every man should have in his wardrobe is a navy blue suit. A navy suit can be so versatile and add a touch of elegance to any occasion. Blue is also a color associated with trust, which can go in your favor at a job interview. A well tailored navy suit will look very sophisticated and trendy with a pair of brown shoes, such as the Trieste model from GuidoMaggi. These sleek cognac leather dress shoes feature a stylish buckle and a classic design that will stand the test of time. They can also increase your height from 2.4 inches up to 3.1 inches, giving you that extra boost you need to feel confident and self assured. After all, confidence is one trait that employers will notice. The Toledo shoe will also work very well with a navy suit and can be a fantastic way of bringing in a little of your personality to your outfit. These burgundy Tuscan leather elevator shoes will increase your height by up to 3.1 inches for a customized fit. These luxury shoes will also look elegant with a gray suit. Try to match your tie to the shoes for a look that shows you’ve made an effort. And just remember to be yourself and stay confident.